Florida. It's something every Michigander dreams about during the winter. For many of us, we aspire to be "Snow Birds", or someone who lives in Florida during the winter and Michigan during the summer. The best of both worlds! Since this is Rediscovering Michigan, we thought that it would be perfect to highlight our drive down to Destin, since that's what Michiganders do. 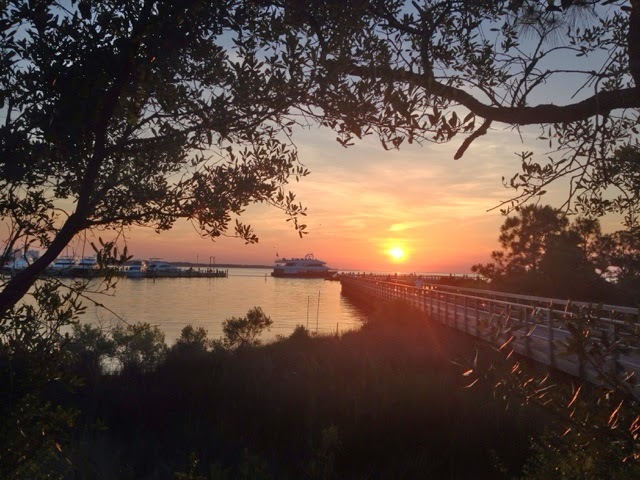 We like Destin because you can drive there in one day from Southern Michigan. It's a long day (14 hours with stops) but you can do it. Going down to Tampa or anywhere on the East Coast will take you at least another 4 hours. 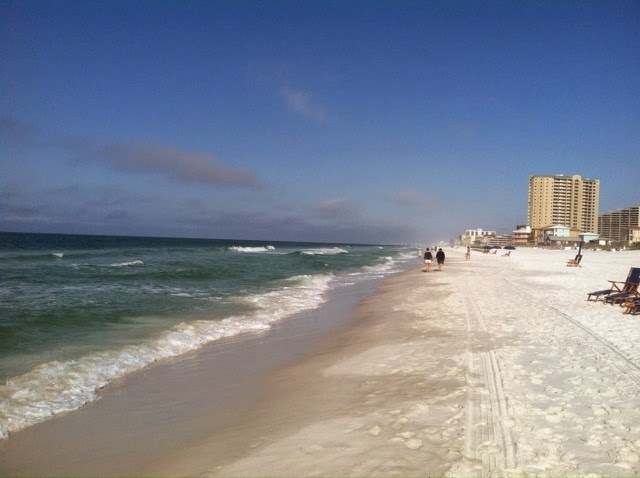 Since Destin is in the pan handle, it can be a little too cold during the winter, but May seems to be the perfect time to visit. 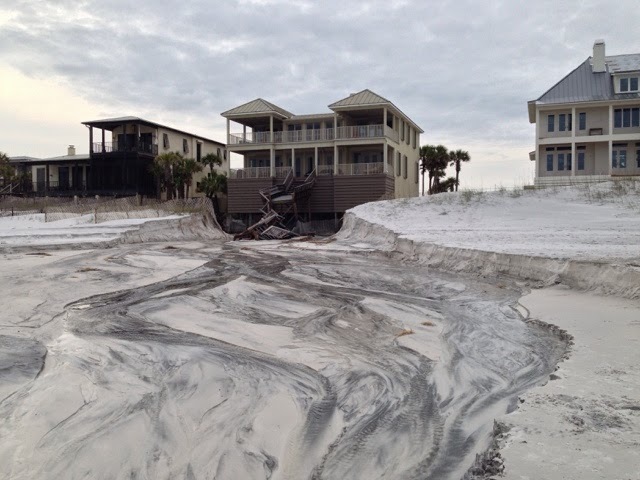 This year when we got to our condo, we arrived right after a huge storm. 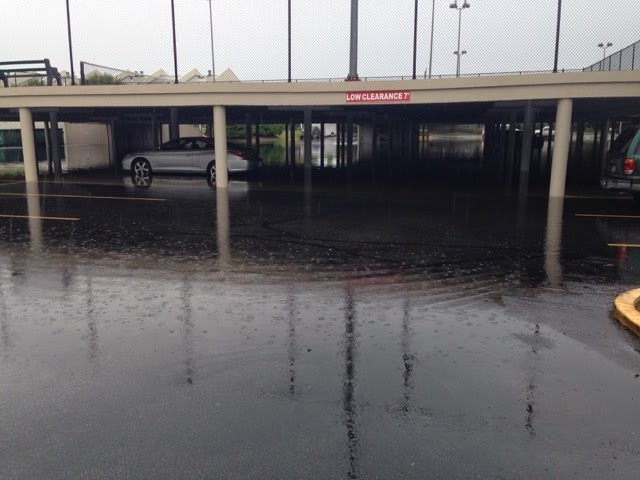 The rain poured on the area non-stop, and flooding was the result. Luckily the day after we arrived, it got sunny and gave the locals a break from the flooding. 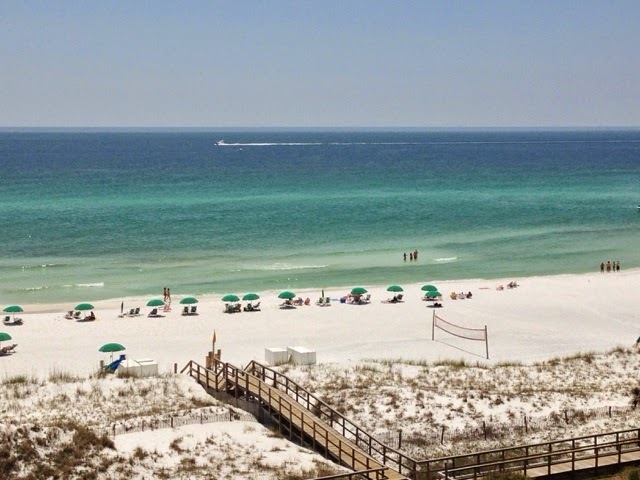 Here's our complete guide to Destin and the surrounding areas. It is a fantastic place to visit! 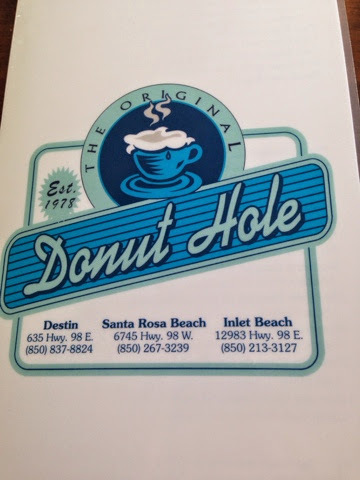 There are three Donut Hole loacations in the Destin area. 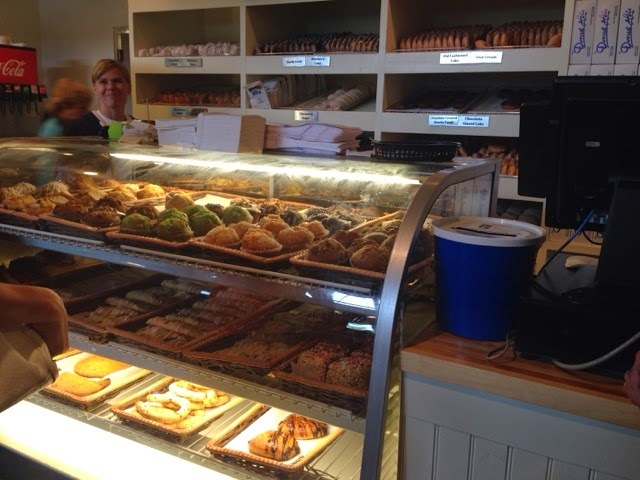 You can just grab donuts and pastries, or you can stop in to eat. We found that the lines were pretty long, so be sure to get there early! 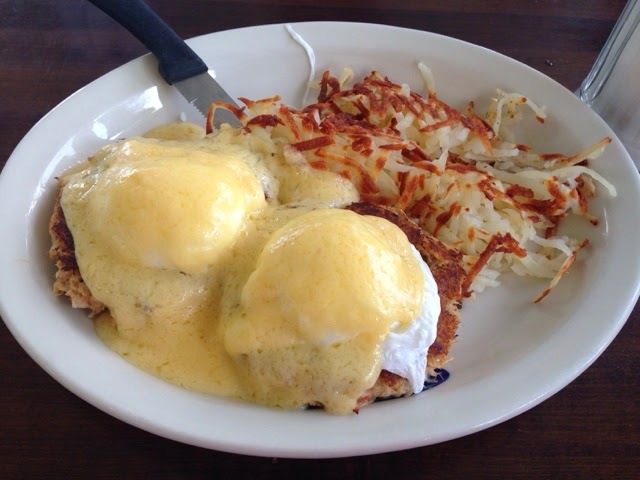 My personal favorite meal was their Corned Beef Hash. 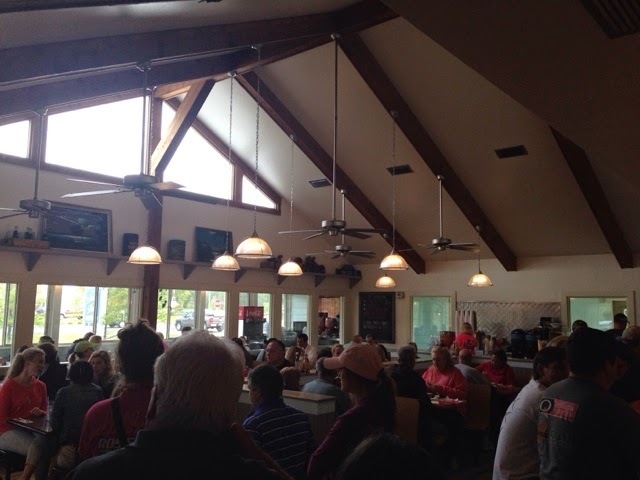 It was all fresh made, and probably the best Corned Beef Hash I have ever had. The waitresses are very nice, and everyone seems like they have been working there for a while. Be sure to also try their Almond Horseshoe cookies. They are our favorite! Chewy texture and great flavor. There are a few Wine Worlds in Destin, but we went to Chan's Wine World on Commons Drive. We were pleased to find out that wine carafes were 1/2 off during happy hour, so we got a few! This looked like a favorite spot for Ladies Who Lunch because we saw lots of ladies, and lots of dogs in purses. Before we ate at their restaurant, we browsed their selection inside. We were happy to see that they carried Bell's and Founder's beers! 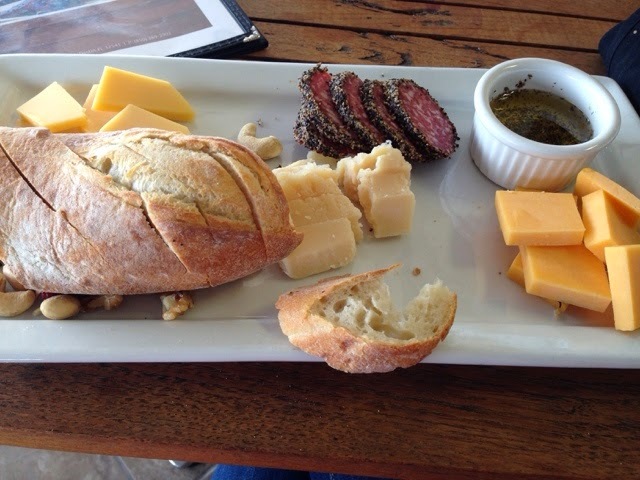 Their cheese area was great, and they encouraged people to ask for samples and suggestions. For lunch, we had wine along with a few smaller plates. Gumbo, Grouper with Bok Choy, and a Cheese and salami plate that we got to customize. 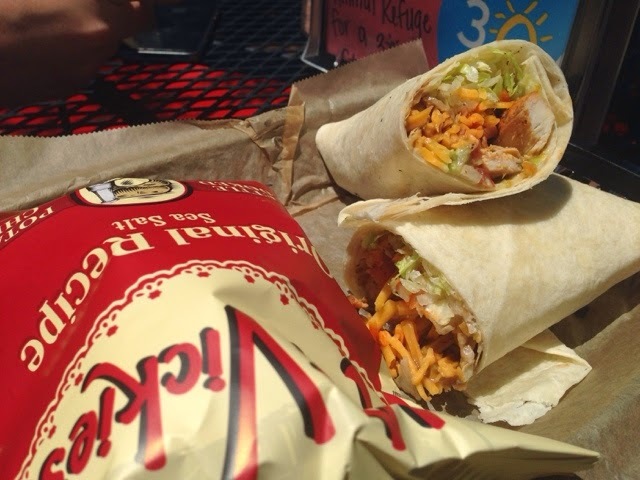 We sat outside on the patio, and it was a great afternoon. 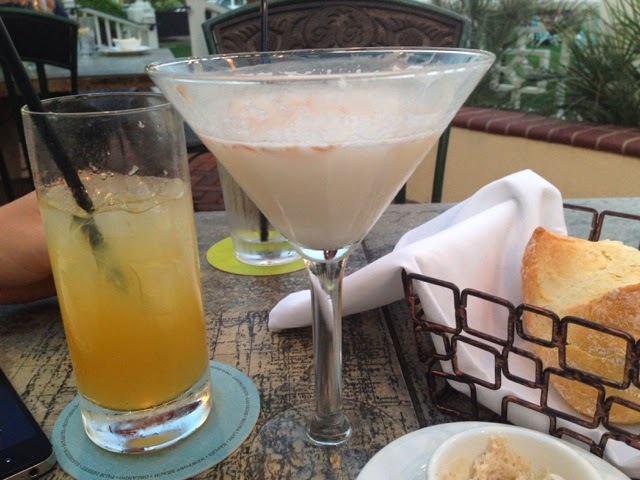 We try to stay away from chain restaurants, but we decided to take a chance and try Tommy Bahama's. It is located in an area called The Grand Boulevard which contains lots of high-end restaurants and shops. 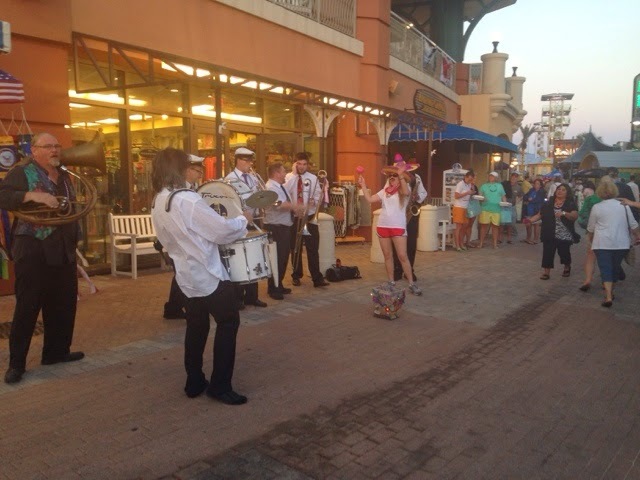 On this particular day, there was a Cinco De Mayo celebration with live music. It was so great to sit around and enjoy the atmosphere. The food was fantastic and ended up being our favorite on the trip. I guess we shouldn't be surprised since each Tommy Bahama restaurant has their own executive chef. AND our waitress was even from... you guessed it.... Michigan. So obviously, she was awesome. 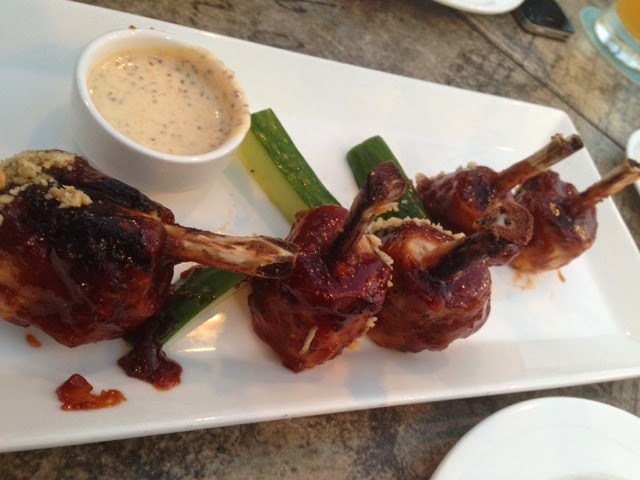 We started with Chicken Lollipops which had a great sauce and grill flavor. 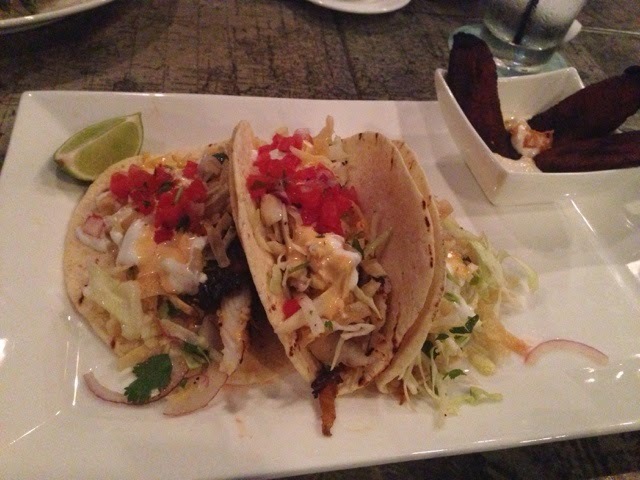 For dinner, we had Blackened Fish Tacos with Plantains and Grouper with BACON PINEAPPLE RISOTTO. 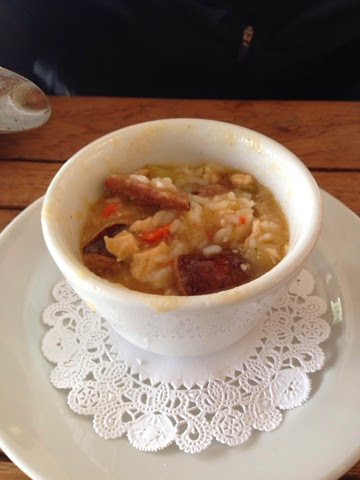 That risotto was fantastic. 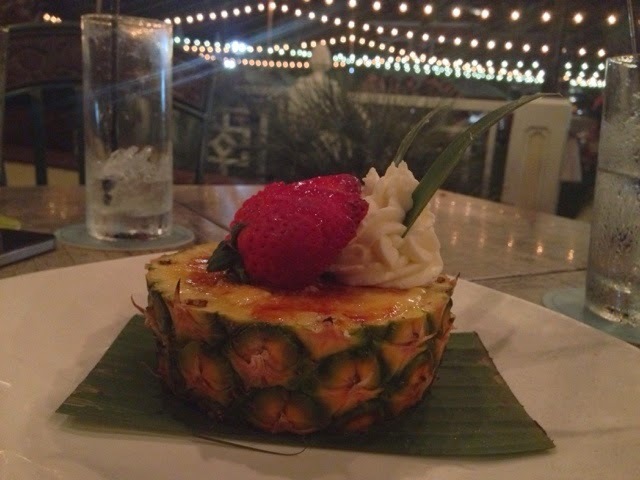 For dessert, we had one of those desserts that we will never forget and always want again... Creme Brulee in a pineapple. It was perfect. The whole meal and evening was simply perfect. We will definitely go back next year. 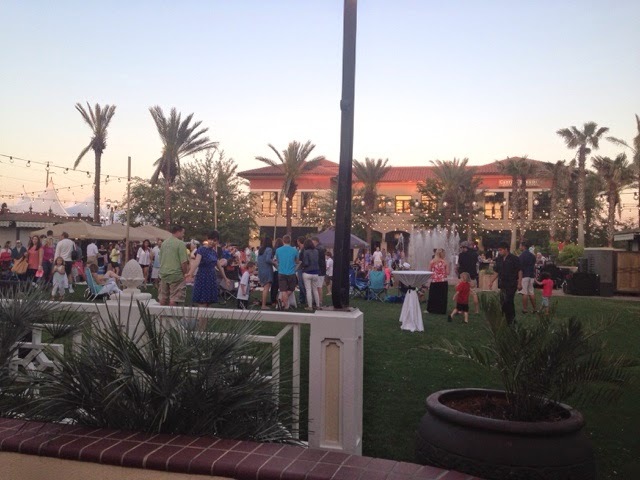 The Wharf is a community that has condos, golf, and their own little seaside downtown area. You'll see many residents zipping around on their golf carts. The downtown area is fun and cute to walk around with lots of places for kids and adults. There is an arcade, climbing rock wall challenge, and candy shop for the kids. 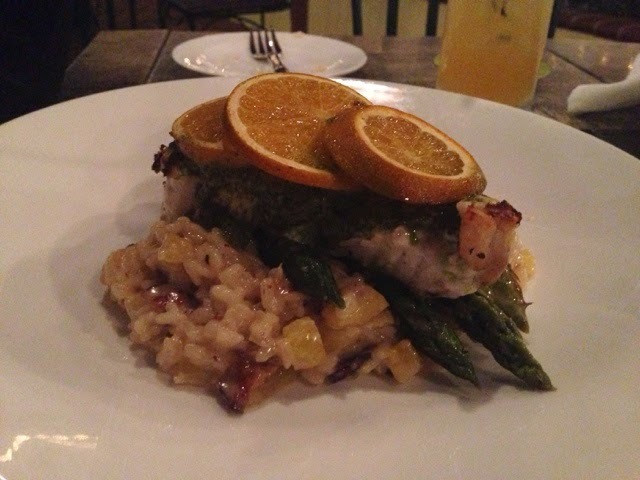 For a special night, we loved Bistro Bijoux. The food was excellent, especially dessert. For a more casual night, go to Hammerhead's at sunset. Their fish tacos are great, they have live music, and a great view of the sunset. This is a great place to visit for lots of activities. It is especially fun in the evening, and we were even there for some great Cinco de Mayo Fireworks. There are lots of shops and places to eat right on the water. There are docks for fishing charters and other water sports. Since there were so many fish, we also saw some dolphins! They just opened a Margaritaville which has drinks to go, or the option to eat in. There are 3 decks, so we sat on the 2nd to watch the boats come in the harbor and the sunset. We ordered the famous Cheeseburger in Paradise and Landshark battered Fish & Chips. The cheeseburger, although good, was pretty standard. The fish and chips was a large portion, and the Jalapeno Tartar Sauce added to the already great taste of the fish. 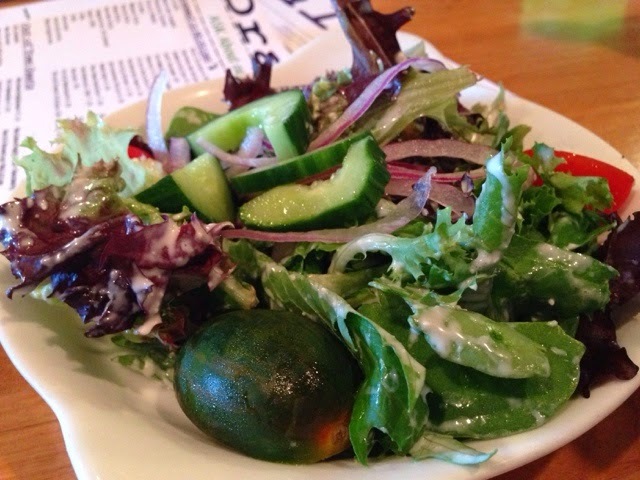 The Cilantro Lime Cole Slaw was excellent, not creamy as it had a fresh salad like taste. The staff and atmosphere was friendly and fun. 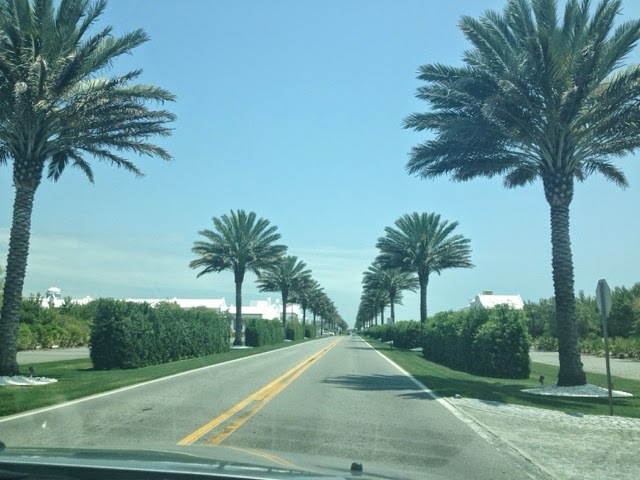 The drive from Destin to Rosemary Beach is beautiful and relaxing if you take the scenic Highway 30A. On the way, you will pass through some other cute towns which I mention below. 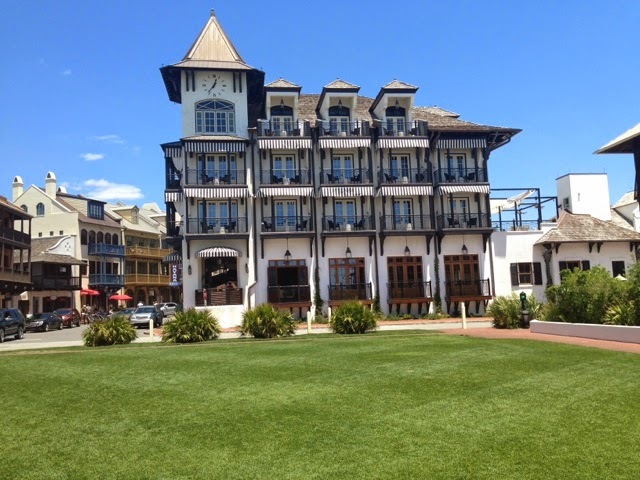 We love Rosemary Beach because of the almost European style architecture. There are lots of shops to look at, and many restaurants to check out. The brick streets are charming, and we always seem to see a few weddings being set-up. They have a beautiful beach, but a sign states that it is only for residents, and there is a locked gate to get down to the beach. Take a walk through the sidewalks of all the beautiful houses. They are incredible. 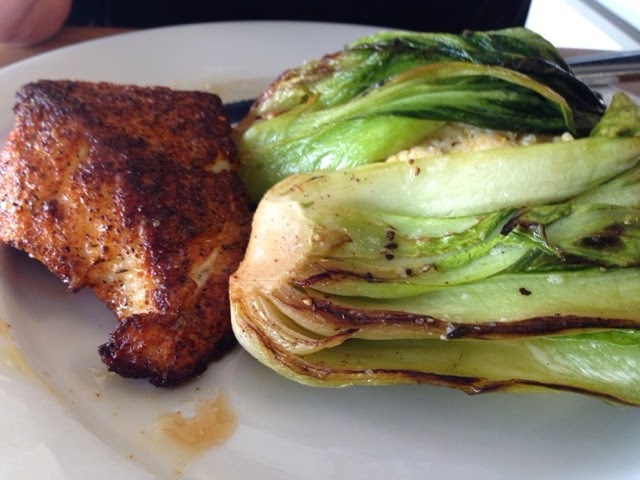 The Summer Kitchen Cafe had great reviews for lunch, so we had to try it. It has a great outdoor seating area. We got a Chicken Wrap and a Burger. 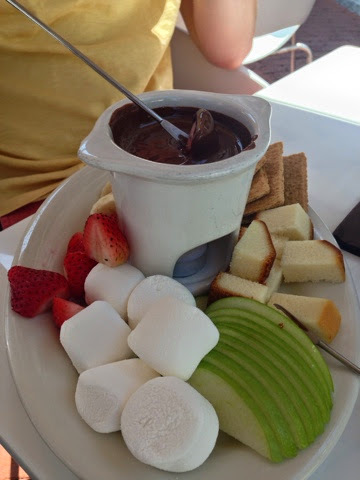 Although they were good, we felt that it was a little overpriced for what we got. 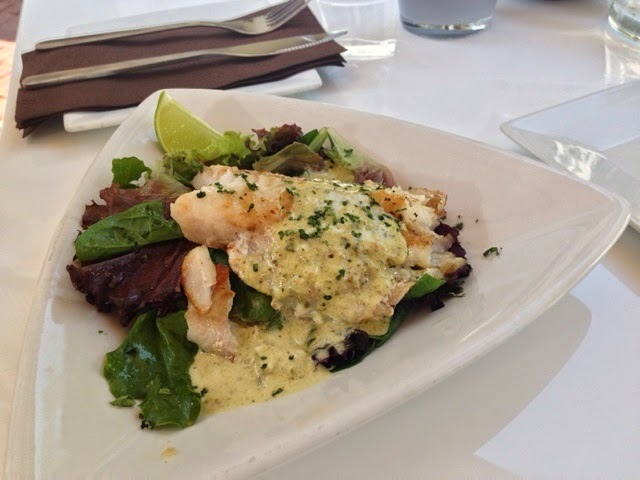 We really loved our meal at La Crema! 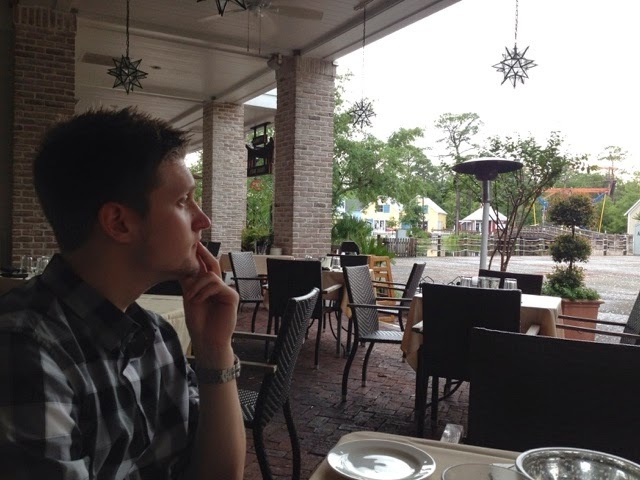 This restaurant has great outdoor seating and serves small plates. Their sangria was fantasic, and was served in chemistry beakers. Their food and decor was very modern and clean. We will definitely go back to La Crema next year. I simply fell in love with Seaside. Each little beach house has its own personality and name. All of the residents ride their bikes around town and seem to know each other. It is a really busy little city! It gained fame for being the filming location of The Truman Show movie. In the main city center, you will find an Amphitheater for live evening entertainment, lots of little shops, restaurants, a Farmer's Market, and a Food Cart area. 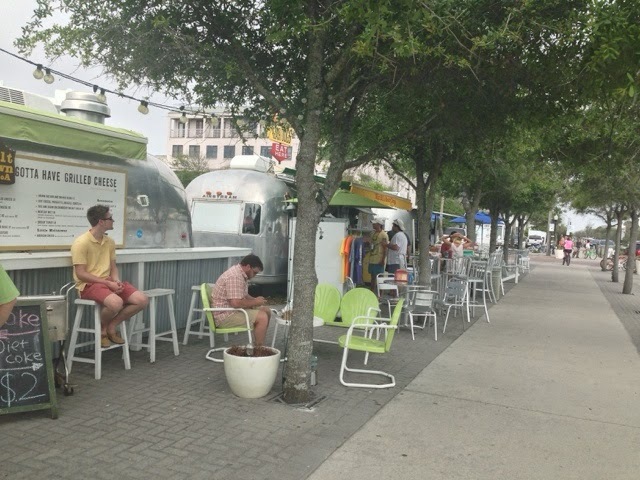 We highly recommend the food carts. 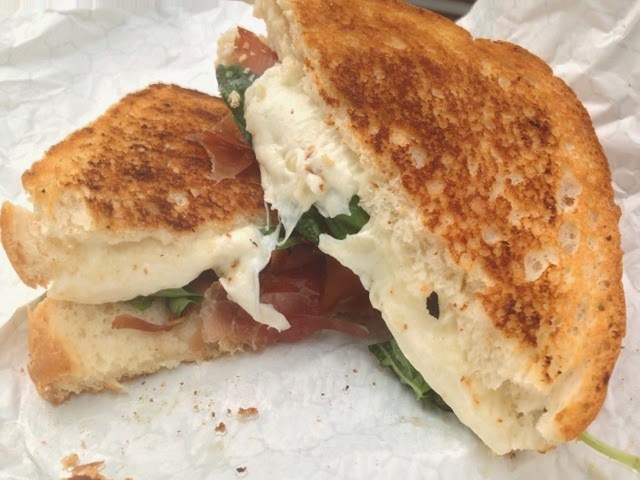 This grilled cheese contained mozarella, prosciutto, and basil. It was so good. 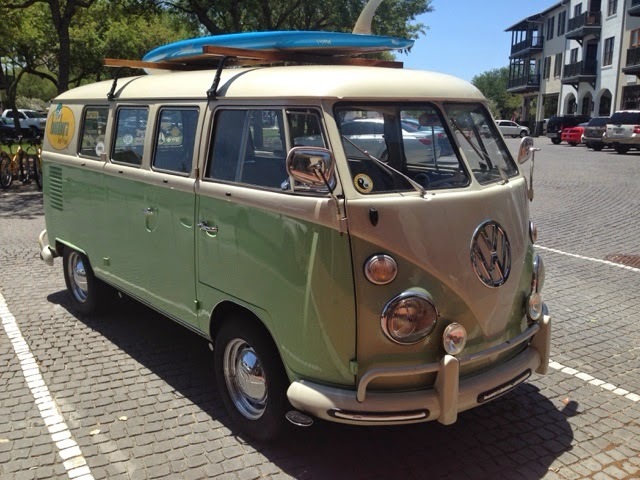 In fact, I want one right now. 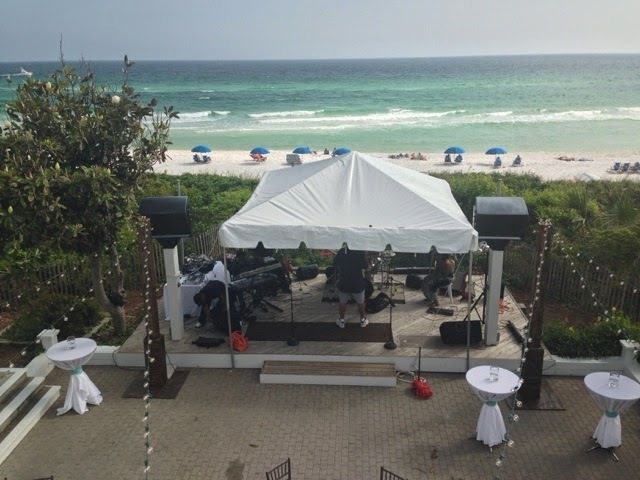 This is from the Meltdown on 30A. 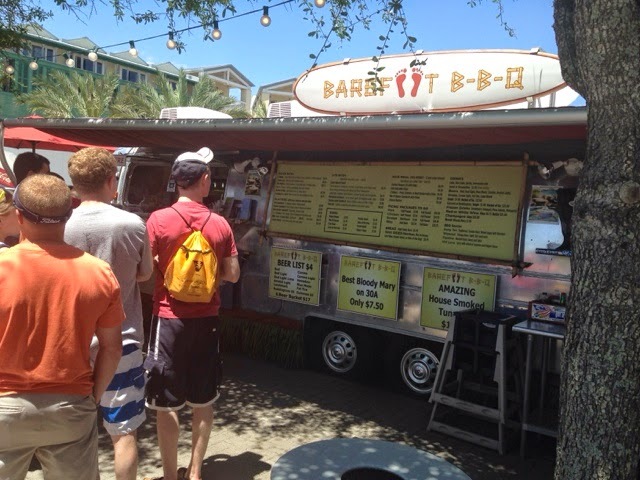 There was a really long line at Barefoot BBQ. They are famous for their bloody mary. They also serve their kid's meals on a frisbee that the kids get to keep! 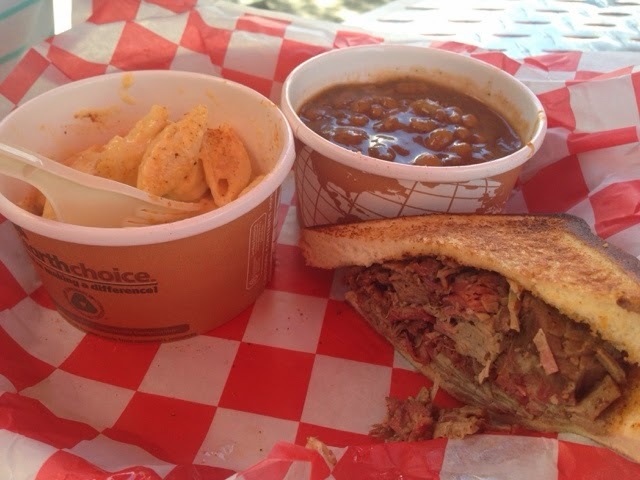 We felt that it was good, but the brisket didn't have enough smoke (Texas spoiled us on brisket!). 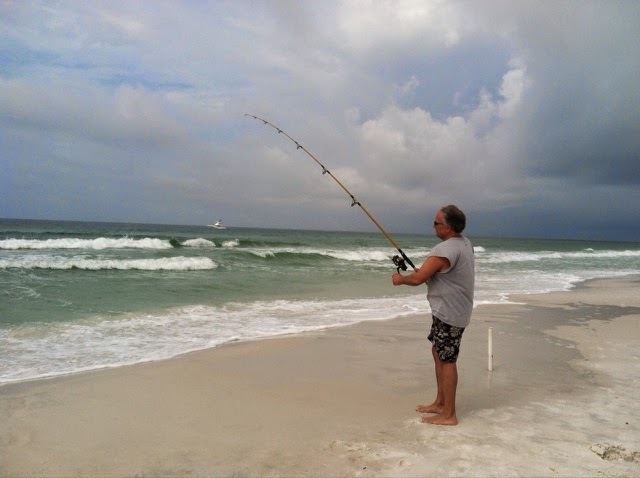 The are plenty of other activities that we haven't tried around Destin. There are many water-related activities like charter fishing, jet skiing, wind surfing, etc. There are even places where you can hop a helicopter ride or go put-put golfing with your children. 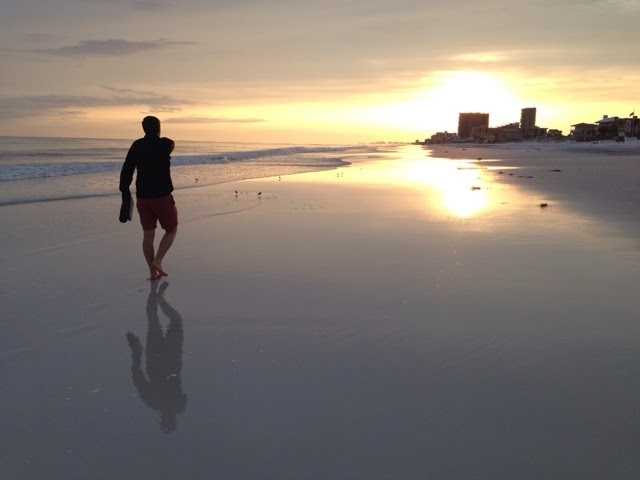 We hope that you enjoyed our Michigander's guide for Destin Florida. It is a place that we plan to visit and explore many more times in the future. We can't wait to go back! 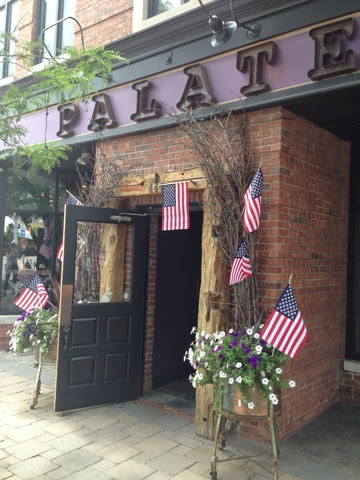 Palate is a restaurant in downtown Milford, which is a great place to walk around, shop, and have a bite to eat. Palate is a cute place to stop during your day. The decor inside and out is really great. They even have a nice patio with umbrellas. The bar area is also nicely decorated. 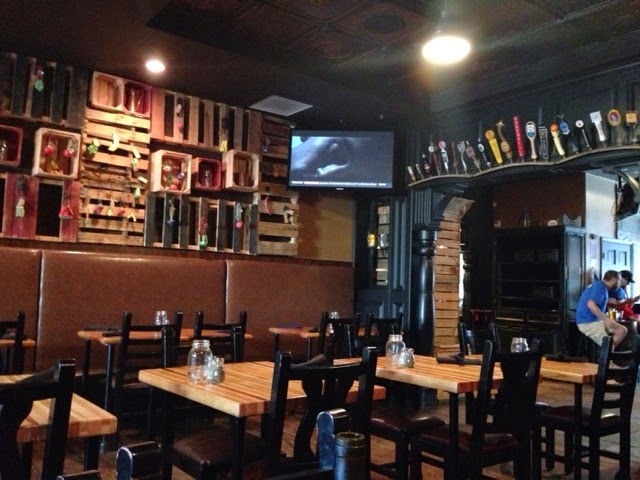 Additionally, they have a very impressive collection of craft beers on tap. I must say that was one of the best parts of the restaurants. 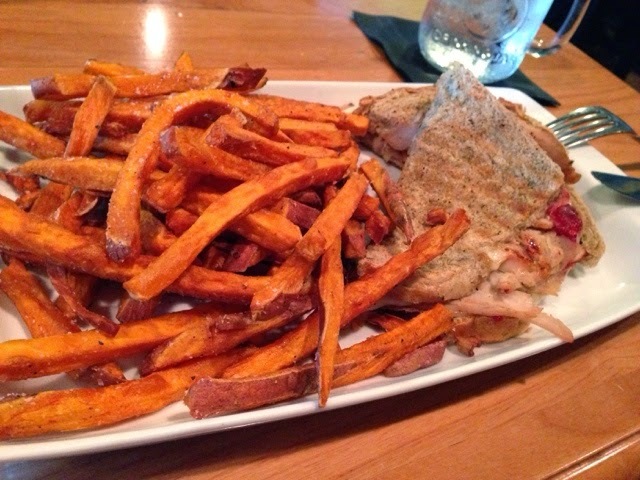 This is the turkey tenderloin sandwich with sweet potato fries. 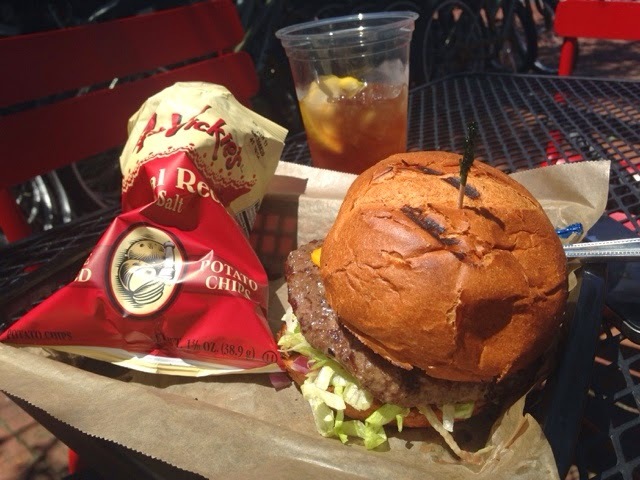 The turkey sandwich is nice, but the star of the show is definitely the fries! They are fantastic. 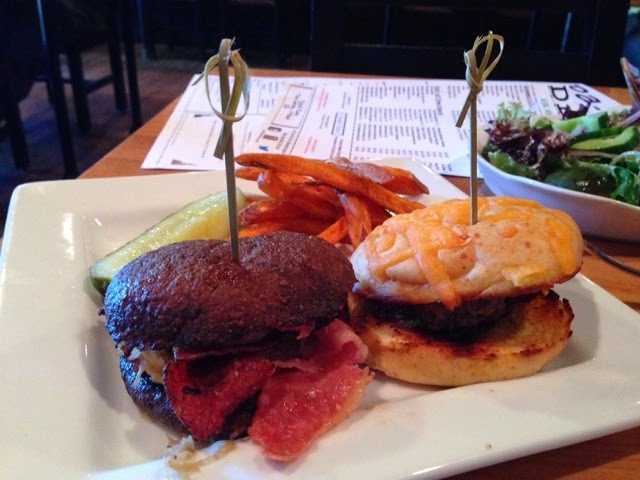 Here are the "Michigan Reuben" and "Steak Burger" sliders. 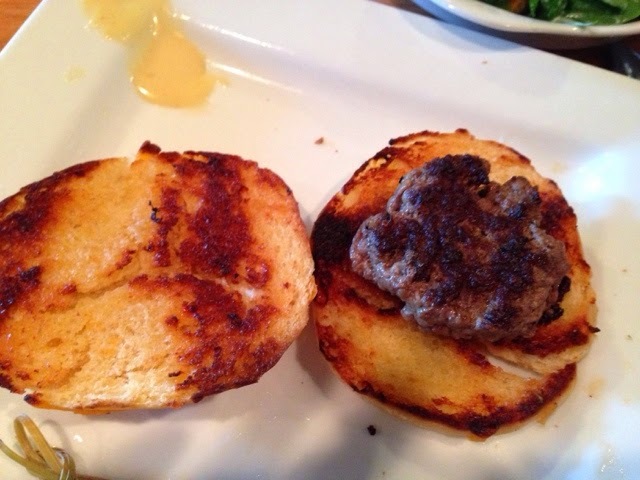 I liked the fact that the little buns were grilled. The reuben had lots of flavor and was definitely worth the $3. The Steak Slider, however, was rather disappointing. The burger was much smaller than the bun, and it also had nothing on it. Ketchup and Mustard were never brought out, either. I think that a garlic mayo or even a simple slice of onion would really make this less disappointing. ((The honey mustard on the plate was from my friend's fries.) I would not get this slider again. The salad greens were very fresh, and the tomatoes were very flavorful. The blue cheese dressing was a bit bland, and I didn't really taste any blue cheese at all. 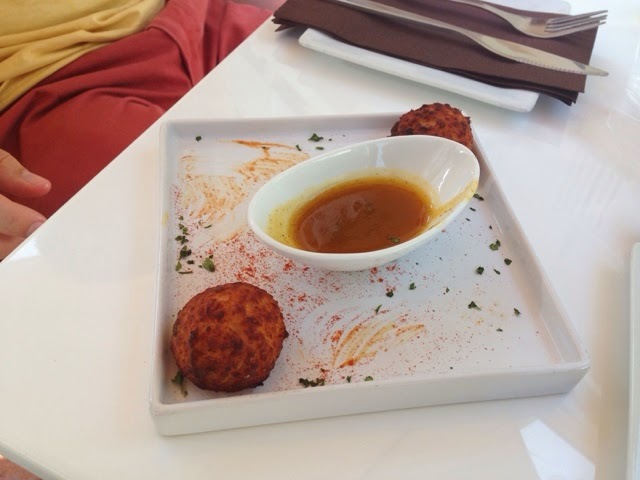 Next time, I would try a different dressing! On the plate, you will see a green tomato. I thought that it was very pretty and great tasting. Overall, I think that Palate is a nice place to stop for lunch or dinner. I think that they could make a few improvements that would make the restaurant even better! 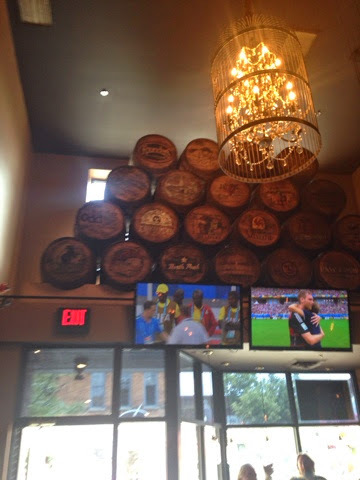 The decorations are fantastic, beer selection is impressive, and the waitresses were nice.